The saying goes, " The way to a man's heart is through his stomach," but I think it's applicable for toddlers too. I made this yesterday along with several other pages, but I think this one is my favorite. 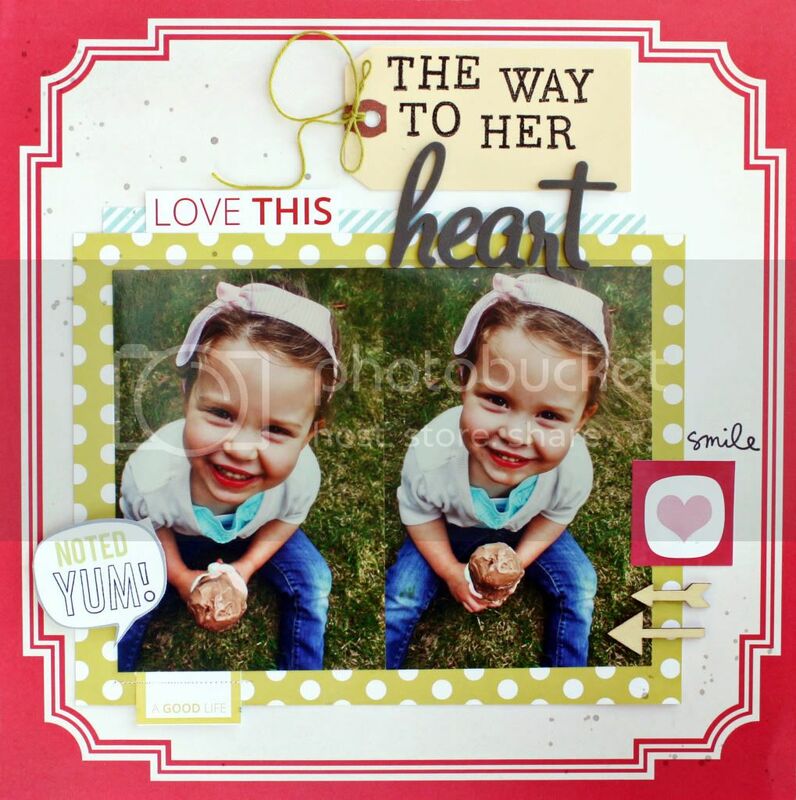 I used some bits for Maggie's class kit HERE and new Hello Forever cut outs, which I love. With the scrapbooking overload yesterday, I think tonight I will be switching over to quilting, so as not to burn myself out. You know how I love when you do the double picture thing. You are amazing Holly. Those pictures are so freakin cute, as well as your daughter of course. Oh Holly, I just LOVE this! What a sweet girl!